ASEAN region comprises countries like Brunei, Burma(Myanmar), Cambodia , Indonesia , Laos, Malaysia, Philippines , Singapore and Thailand . These countries have been getting important in the denim world . 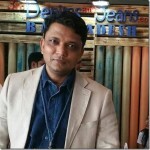 Lets see what denim apparel they are exporting to US and at what prices .In this report, we have done the detailed analysis of import of denim , which includes denim Apparel for both men and women , into USA from ASEAN for the year 2015 upto second quarter of 2017.